I always receive a few grumbles of disapproval when I tell people this, but I’m not the biggest fan of fruity desserts. When it comes down to it, I guess I’m just a chocolate lover at heart. I blame my mother. However, there are exceptions to every rule, and this cake is one of them. Oh, this cake. 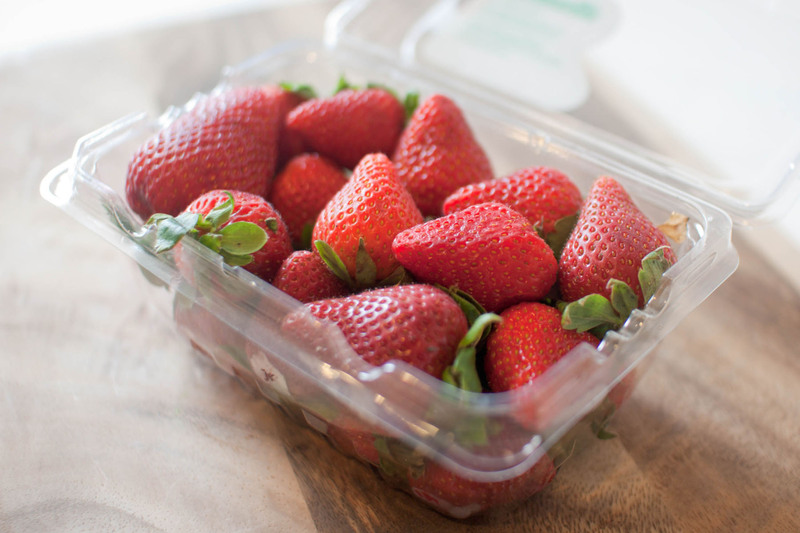 So ridiculously simple but amazingly good — the strawberries themselves a sign that sunshine and warmer temperatures are upon us. A dessert that, dare I say it, puts chocolate to shame. Yes. To shame. Don’t believe me? Try it for yourself. I double dog dare you. Be sure to save me a piece. Preheat your oven to 400 degrees. Butter an 8″x 8″ glass or ceramic baking dish. Set aside. In a small saucepan, combine water, cornstarch and 1/2 cup sugar. Bring to a simmer, add sliced strawberries, and cook for about 3 minutes or until the strawberries become slightly syrupy. Remove from heat and set aside. In a medium bowl, whisk together flour, baking powder, salt and remaining sugar. In a large bow, whisk together egg, buttermilk, melted butter and vanilla. Whisk in the flour mixture until just combined, being careful not to over mix. Add 1/2 cup of the strawberry mixture to the baking dish, spreading it evenly over the bottom. Next, place the batter in large dollops over the fruit and spread evenly, being careful not to mix the fruit with the batter. Finally, spoon the rest of the fruit mixture over the batter, making sure to distribute that evenly as well. Bake for 30 minutes or until top is slightly brown. Cool on a wire rack for at least five minutes before serving. Meanwhile, using an electric mixer, whip mascarpone and powdered sugar in a large bowl until light and airy. Slice cake into 12 pieces (or 9, what the heck!) and top each with a generous spoonful of mascarpone. Omg looks great. I’d like to challenge this anti fruit thing some more. They’re my favorite! I heart this cake… a lot!! I’m all for creamy berry pudding cakes… over the summer, I make something like this on a weekly basis. You are not alone! When faced with picking dessert, I almost always prefer something chocolatey over something fruity. My fiance and I are opposites on this front, though… he always wants a fruity dessert. This looks delish though! Delicious, and very pretty! Love how red color of the strawberries come out making it so tasty! Wonderful recipe!!! This has to be the best pudding I have read about for a very long time. It looks superb. Do you think I could substitute the buttermilk with palin yoghurt? I think that might work. Maybe thin it out with a tablespoon or two of milk? If you try it, let me know how it turns out! Wow, absolutely gorgeous. 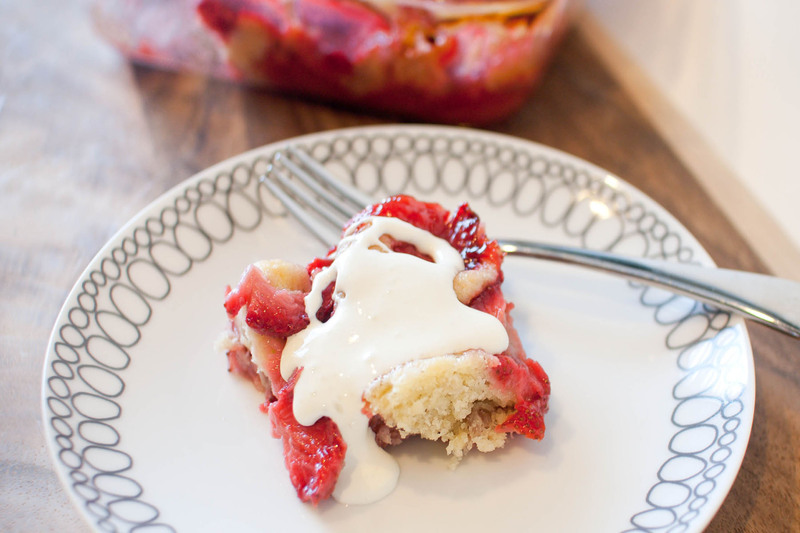 You’re right…this is one of the best fruity desserts. Strawberries and mascarpone are one of those matches made in heaven. My boyfriend is the same, he doesn’t want fruit near his dessert. Maybe I can win him over with this gem? Looks delicious! I’m with you on usually preferring chocolate desserts, but this looks amazing! Looks like a perfect spring dessert! Mmmm, I think this looks wonderful. 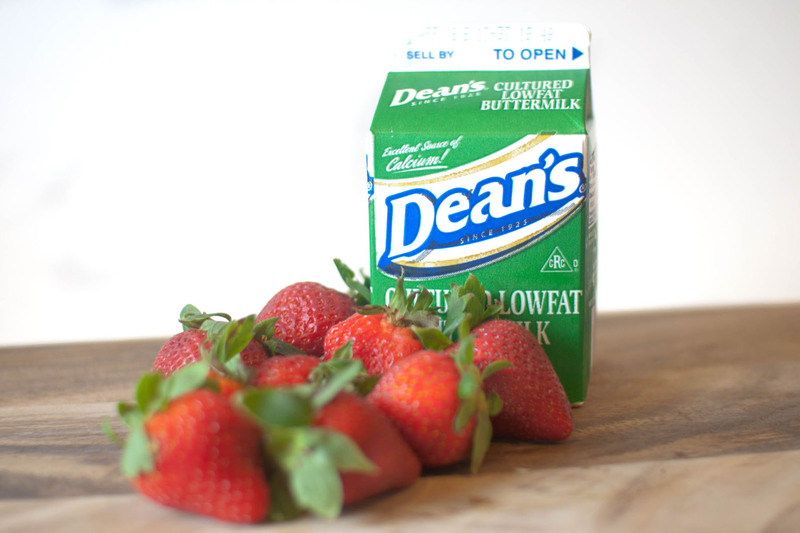 I cant’ wait for fresh strawberry season around here. If this puts chocolate to shame, then I MUST try it. I am addicted to dark chocolate. Big time addicted. Forget fruity desserts at all and I dont even like strawberries but I have got to try this!! It sounds amazing. Delish! This looks like the perfect summertime treat! I agree with the entire first paragraph…not a fruity dessert kind of girl, why would I be when I can eat chocolate instead! 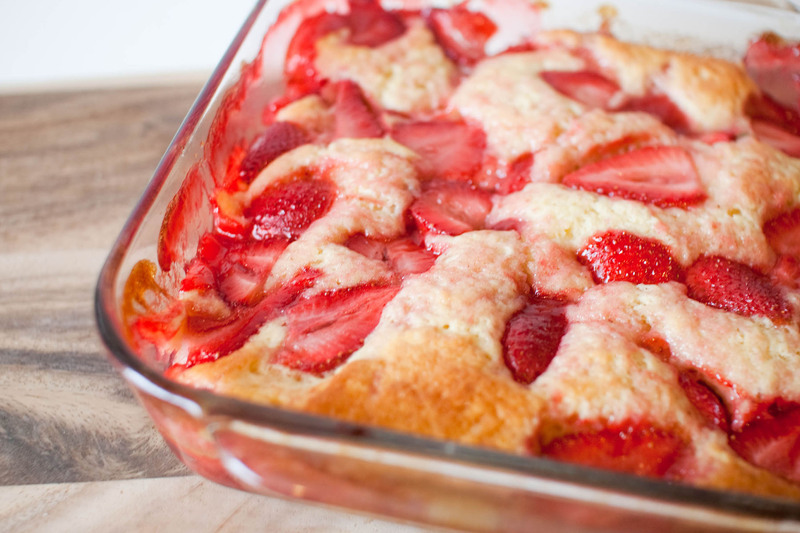 But…i am headed to go strawberry picking next weekend and have been debating what to make with all those darn strawberries, thanks for the idea! Swapped almond extract for 1/2 of the vanilla. Didn’t have mascarpone, but it tasted just fine without it. Start working on salad ideas…I’ll be in Chi in the very near future! Far be it from me to begrudge fruit dessert haters. This one’s great and I’m glad you passed it on. Can this dessert be made the day ahead, stored in fridge, then warmed slightly in oven before serving? Yes, absolutely. I’ve done that with leftovers and it works perfectly.